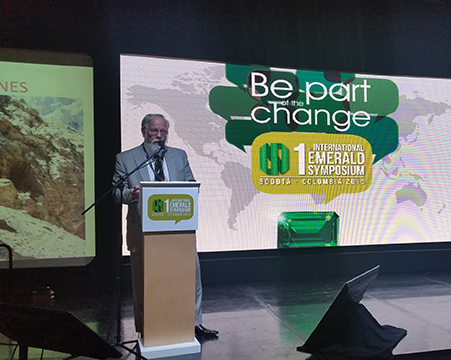 The world’s first global symposium devoted to emeralds was held this past October in Bogotá, Colombia. Drawing praise from attendees and speakers alike, the three-day event addressed the many challenges as well as the opportunities facing the industry, along with heated discussions on a number of topics, including one not often discussed in public. Dr. Maria Isabel Ulloa, Vice Minister of Mines, provided background on the Colombian emerald industry and what the government is doing to ensure a good future. Dr. Carolina Rojas Hayes, vice-president promotion and development at ANM, pointed out the major emerald deposits in the eastern portion of the Andes, between the Boyacá and Cundinamarca Departments. The three major areas are Muzo and Coscuez in western Boyacá and Chivor in the eastern part. A 12.85-ct Colombian emerald from MUZO. 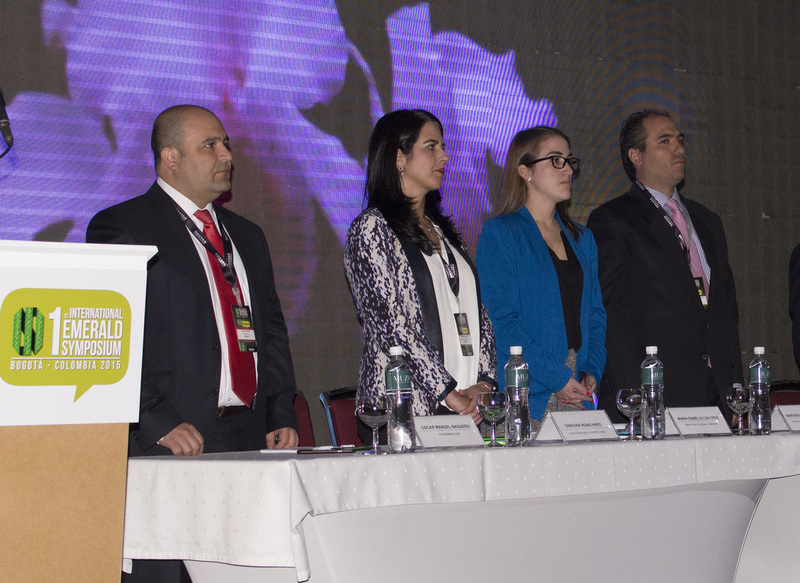 Speakers representing the emerald trade and Colombian government, left to right: Oscar Baquero, president, Fedesmeraldas; Dr. Carolina Rojas Hayes, vice-president promotion and development, ANM; Dr. Maria Isabel Ulloa, Vice Minister of Mines; and Dr. Santiago Ángel, president, ACM. Warren Boyd, president of Canada-based R.T. Boyd Ltd, talked about the emeralds that are still mined in Russia. Zambian emerald, diamond and gold ring by Fabergé. Jewelry designer, Erica Courtney, demonstrated how social media can help create brand awareness. Charles Burgess, director of Minería Texas Colombia (MTC), manages the strategic business and operations of the famed Muzo mine. Earrings made of Colombian emeralds, diamonds and gold by Leticia Linton. 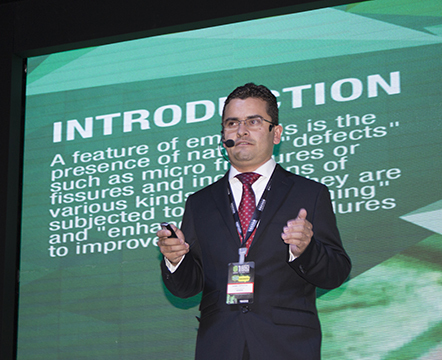 Darwin Fortaleché, chief gemologist, CDTEC Gemlab, highlighted a new natural emerald enhancement that has been developed in Colombia. The symposium afforded the opportunity for visitors to meet local emerald dealers. Jewelry designer Erica Courtney (left) looks at emeralds from Amparo Valencia. David Lightle, of VMA Worldwide, offered his expertise on global branding and the obstacles faced by the emerald industry. Brazilian emerald and diamond necklace in gold by Pamela Huizenga. Marcelo Ribeiro, of the Belmont Mine in Brazil, talks with Sean Gilbertson of UK-based Gemfields. Gary Bowersox, president of U.S.-based GeoVision, offered his insights into the fine emeralds that come out of Afghanistan. Luis Gabriel Angarita, president of ACODES, shown here with two hostesses at the symposium, indicated that approximately two million carats of emeralds, with a value of US$147 million, were exported last year from Colombia. Jean Claude Michelou, international coordinator of the symposium and co-chair of the ICA Fair Trade and Ethical Mining Committee, discusses corporate social responsibility. 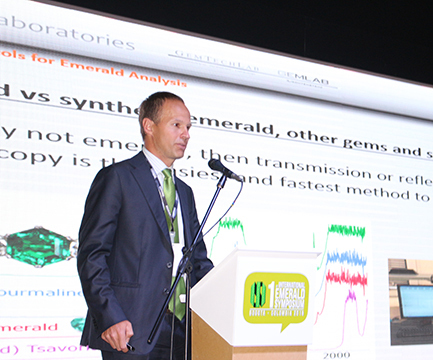 Dr. Thomas Hainschwang, director, GGTL Laboratories, Liechtenstein, detailed various methods of analysis to determine treatments and origins of emeralds. Networking was an important element of the Symposium. 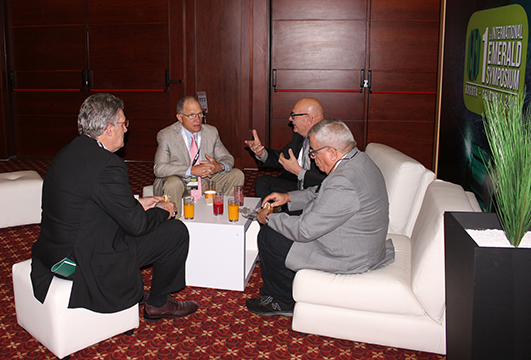 During a coffee break, four participants are in discussion. Left to right: Warren Boyd (R.T. Boyd/Potentate Mining), Gerry Manning (AGTA vice-president), Jean Claude Michelou (international coordinator of the symposium) and Benjamin Hackman (ICA president). The main sponsors of the symposium. Rare Colombian trapiche emeralds seen at the symposium, offered for sale by Valencia. Organized by Fedesmeraldas—the Colombian Emerald Federation—with support from the country's emerald-related bodies, including the governmental Ministry of Mines and Energy, the First International Emerald Symposium was held October 13 to 15 in the nation’s capital city of Bogotá. 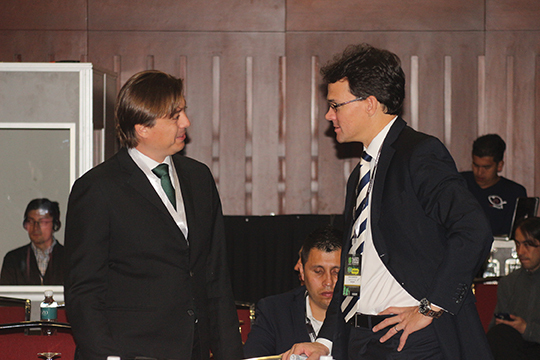 Attracting some 200 local attendees and more than 150 international participants, speakers at the conference addressed many issues and concerns relating to the emerald trade, not only in Colombia, but around the world. Among the topics were resource management, traceability, ethics, manufacturing, treatments, certification, nomenclature, technology, consumer education, risks, security, marketing and branding. It was the first time that producer countries came together at a high-level global gathering to discuss issues relating to the emerald business. Participation and support of the event also came from stakeholders in the international precious gemstone and jewelry industry, as well as governmental and private delegations from Zambia, Brazil and Afghanistan. Representatives of the major international trade organizations, namely ICA, AGTA, CIBJO, and IBGM were also present, as well as several laboratories, including GIA, AIGS, Gubelin, GGTL, NGTC and LFG, among others. This article takes a brief look at some of the representative subjects covered at the symposium. For a detailed list of the speakers and their topics, visit the official website, worldemeraldsymposium.com. After the opening ceremonies, Dr. Maria Isabel Ulloa, Vice Minister of Mines, provided extensive background on the Colombian emerald industry, and the various stages it has experienced including its turbulent past. She also talked about the different types of mines—large, medium, small, and survival—stressing that each must be treated differently. Her main point, however, dealt with the issue of transparency. “Currently some 63% of mining activity is carried out without meeting legal requirements or paying taxes,” she said. “It is imperative to formalize the sector.” One way the government is doing this is to provide support to “formalized” companies in various ways. “Colombian emeralds are very much a gemstone of the present,” stated Luis Gabriel Angarita, president of ACODES, the Colombian Association of Emerald Exporters. “Approximately two million carats, with a value of US$147 million, were exported last year.” While most head to the USA, he added, many Colombian emeralds end up in Asia where they are revered not only for their rich green color but for their rarity and value. Gemologist Warren Boyd, president of R.T. Boyd Ltd, Canada, provided a indepth look at emerald mining in Russia. The world’s largest producer from 1830 to 1917, Russia today only produces significant quantities of emeralds from the Malyshev mine in the Urals, near Ekaterinburg (incidentally, the city where Czar Nicholas II and his family were executed in 1918). Boyd explained that Russian material is similar to gems from Colombia’s Cosquez mine, i.e. bright and light material. Gary Bowersox, renowned gem hunter and president of USA-based GeoVision, is an expert on Afghan emeralds. While the country continues in geopolitical turmoil, its emeralds are world-class. Rich veins of the precious green gems run through the Panjshir Valley, located in the Hindu Kush mountains about 150 miles northeast of Kabul. Although mining is small-scale and inefficient, Bowersox concluded that the quality of the Afghan stones rivals those of Colombia and Zambia. On the other side of the planet, Brazil is the world’s third largest producer of emeralds, after Zambia and Colombia. Marcelo Ribeira, director of the Belmont mine, located in Minas Gerais, talked first about the mechanical sophistication of the mine, including an optical system capable of electronically identifying and selecting the emeralds as they pass on a conveyer belt, and then stressed the company’s dedication to social and environmental responsibility. In addition to investments in geological research, Belmont has arranged for cutting facilities to ensure true and traceable mine-to-market emeralds. On the topic of emerald treatments, Darwin Fortaleché, chief gemologist at the CDTEC Gemlab, highlighted a “New Natural Emerald Enhancement Developed in Colombia.” He discussed the various ways to “clean” an emerald followed by procedures to improve its clarity. In the lab’s attempts to find a new method of enhancement, Fortaleché outlined the criteria used in its selection: natural substance; as light in color as possible; refractive index close to that of emerald; as viscous as possible; very stable; easily removable; costs not too high. The lab then treated emeralds with this new substance and subjected them to a series of rigorous tests. The new substance met all of their criteria. While he did not give the exact formula for this patent-pending treatment, he went on to state that it is not glue and that it has a projected stability of at least 12.5 years based on their trials. “Standards and Protocols for Emerald Analysis in Gem Testing Laboratories” was the topic of Dr. Thomas Hainschwang’s presentation (GGTL Laboratories, Liechtenstein) as he summed up various identification techniques and types of treatments. Because origin is such an important topic—and often a component of price—his slides on determining a gem’s most likely origin were particularly interesting. Using a complex procedure based on a combination of microscopic observations of inclusions and growth features, UV-Vis-NIR and infrared spectroscopy, plus chemical analysis of trace metals, he explained how the various differences between gems point to specific geographic origins. Corporate social responsibility (CSR) featured in many of the discussions. Charles Burgess, director of Minería Texas Colombia (MTC), manages the strategic business and operations of the famed Muzo mine, formerly known as the Tecminas/Port Arthur mine that was owned by the infamous “emerald czar” Victor Carranza. 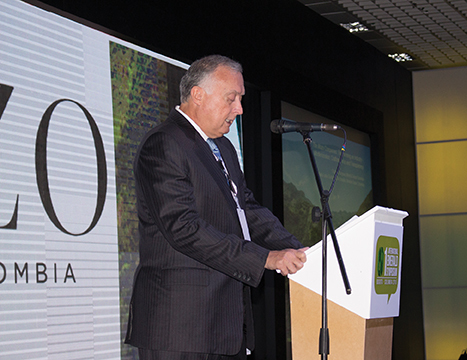 Burgess’ talk centered on the arrival of MTC at a time when the Colombian government was ready to modernize its emerald industry and raise it to international standards, along with promoting emeralds and encouraging CSR. Since acquiring the legendary mine six years ago, the Muzo companies have reportedly invested more than US$50 million to modernize the mine with the latest mining extraction methods, technology-driven craftsmanship, transparency, mine-to-market traceability, and a safe and fair employment environment in the Boyaça region. Burgess added that the Muzo companies provide more than 800 jobs, of which nearly 500 are in the communities surrounding the mine. Its employees receive health insurance and other benefits. The company’s commitment to the community at large involves a number of initiatives including a clinic that provides care to 1200 people and assistance to local schools. Jean Claude Michelou, the international coordinator of the symposium and co-chair of the ICA Fair Trade and Ethical Mining Committee, reported on the traceability of colored gems in general with an update on current initiatives and how the industry is moving forward. Along with an overview of the gemstone industry, he stressed that consumers want to have confidence in their purchases, which is helped by proper identification of the gems and their origins, and the knowledge that they are extracted in an environmentally friendly and ethical manner. 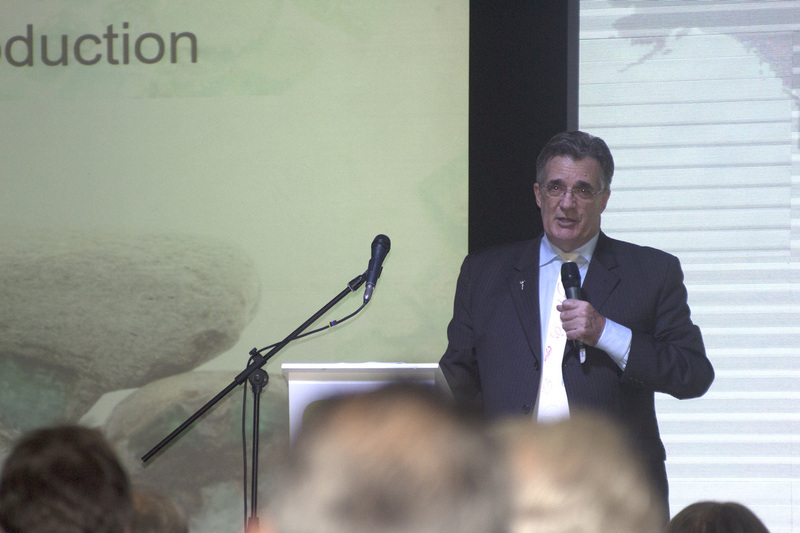 In terms of solutions, Michelou, who is also Senior Advisor to a project under the auspices of UNICRI (United Nations’ Interregional Crime and Justice Research Institute), explained the organization’s goal of reinforcing international efforts to counter the illicit trafficking of gemstones and precious metals. This would take some form of certificate-of-origin and a corresponding tracking system based on the improvement of environmental, social and governance (ESG) performance along the supply and value chains. Michelou also mentioned the chain-of-custody initiatives proposed by some governments and organizations such as the Responsible Jewellery Council, as well as private initiatives from companies including Gemfields, MUZO, TrueNorth Gems, and Kats Sapphire, among others. Sean Gilbertson, executive director of Gemfields, the 17th largest mining company listed on the London Stock Exchange, discussed the company’s CSR involving responsible mining and transparency initiatives against the backdrop of its policy of acquiring gem production around the world. Specifically, he spoke about Gemfields’ involvement in modernizing the Kagem emerald mine in Zambia (where one gram of emerald is found for every five million grams of rock removed); developing ruby mining in Montepuez, Mozambique; searching for sapphire, ruby and emerald in Madagascar; sourcing rough sapphires and other gems in Sri Lanka; as well as other gems around the world. Gilbertson also discussed the company’s recent move into Colombia with the purchase of 70% of the Cosquez mine, one of Colombia’s major emerald producing areas, and the acquisition of mining titles covering 20,000 hectares in the general Muzo and Quípama districts. As mentioned earlier, Sean Gilbertson of Gemfields also discussed various marketing initiatives, with Gemfields positioning itself as the world’s leading supplier of responsibly sourced colored gemstones, and more than just a mining company—one that is a “pioneer at an exciting new frontier where mining, marketing, exploration and ethics meet.” Its branding efforts also involve a consumer focus by forming partnerships with jewelry designers around the world, as well as the face of Mila Kunis as a brand ambassador. In terms of the emeralds, Lightle commented that emeralds teeter on commodity status. “They are not reining in the kind of value that they should, due mainly to the lack of strong brand players in the global market.” Speaking specifically about marketing Colombian emeralds, he stated that “the collective effort of the local ‘mothergem’ brand is a good start, although it remains to be seen how it will be marketed. 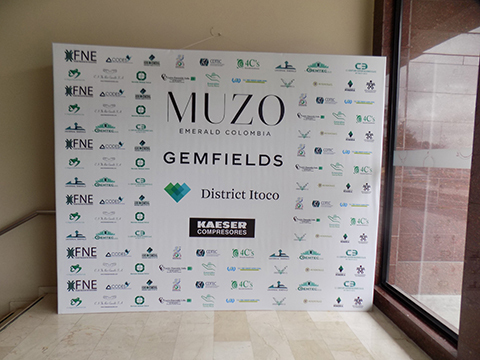 ​ Also to be seen will be the contribution of Gemfields and MUZO on branding Colombian emeralds. Discussing the importance of social media in marketing and branding was celebrity jewelry designer, Erica Courtney. 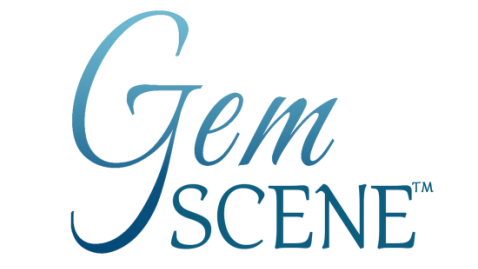 She spoke at length about trends in gemstones and jewelry and ways that designers can use social media to increase brand awareness, and get the message across to both retailers and consumers. The panel discussions drilled down on topics of crucial interest to the emerald community. The topic drawing the most, and sometimes contentious, comments revolved around nomenclature that labs use when listing the degree of treatments for inclusions, i.e. “minor,” “moderate,” “significant,” etc. Since the “normal” state for most emeralds is to have moderate inclusions and thus moderate oil/resin/wax treatment, the suggestion by some was to change the “moderate” designation to “normal.” This would—many postulated—help salability. As is the case with other gemstones, namely sapphires and rubies, the terms used for the type of color also incited lively debate, with some proposing descriptions other than or in addition to “vivid green,” “intense green” and others. No consensus was reached on either topic and the dialog will, no doubt, continue for some time. On a different note, after panelists in another group voiced opinions on topics ranging from traceability to taxes and from procedures to principles, a concern was raised about theft in the mines. In response, Burgess declared, “It is no secret that robbery and theft are common along the supply chain. I am not talking about poor miners, but well organized criminals in large-scale operations.” He referred to two deadly attacks on tunnels in the Muzo mine complex by well-armed elements, requiring the help of the police and military to quell the situation. The latest attack was in May 2015, when anywhere from 1000 to 3000 people, depending on different estimates, stormed the mine for at least two days, until the police finally gained control. Losses were in the millions, with numbers ranging from US$12 million to as high as US$42 million, according to some industry players. In principle, a second global emerald symposium will be held in two years, although nothing definitive was announced. Symposium images by CEF; emerald image by MUZO; jewelry from various designers. Panel members and the audience participated in lively discussions on nomenclature relating to emerald treatments and colors. Left to right: Jean Claude Michelou (ICA), Kenneth Scarratt (ICA Lab), Dr. Thomas Hainschwang (GGTL Lab), Sean Gilbertson (Gemfields), Dr. Adolf Peretti (GRS Gemlab), and German Sanchez (emerald dealer, Colombia). Among other subjects, one of the panel groups spoke frankly about theft and robberies in the mines, from left to right: Jean Claude Michelou (moderator), Oscar Baquero (Fedesmeraldas), Gerry Manning (AGTA), Sean Gilbertson (Gemfields), and Charles Burgess (MUZO). The Plaza de Bolivar in the heart of Bogota features the Primary Cathedral of Bogota and the Casa de Nariña (Presidential Palace), extreme right.